This bill DEFINES ASSAULT WEAPON to include certain pistols, shotguns, and rifles . Increases penalties for selling firearms from $300 to $1,000 and possible imprisonment from 6 months to 12 months. "This bill imperils 18-20 year olds, both men and women, by denying them any means of armed self-defense. The state will forbid them from buying firearms and the only legal way to get a firearm for self-defense is if someone gives it to them for free." SB 274 will be heard in Senate Judiciary C Committee on Tuesday, April 3. Contact Committee members ASAP to vote NO on this GUN CONTROL/ anti 2nd Amendment bill. If you want to raise the age, only raise it for JUVENILES and those who have been prescribed those mental illness drugs in the past. If you have been arrested as a juvenile, then one should not allow their record to become so clean at age 18 to purchase a gun if their past had criminal behavior. LA Senate Judiciary Committee C today voted to PASS SB 274 through the Committee.... so now it will move to the full Senate for a vote. Even if it passes in the Senate, the bill will then have to pass House Committee and full House before it would go to the Gov for his signature and become law. This bill would prohibit the sale of certain guns to anyone under 21 in Louisiana. ( Scroll up for previous posts and more info on this bill). The surprise was that REPUBLICAN Sen. Fred Mills voted with the 3 Democrats (Barrow, Carter, Colomb) to give this bill a 4-3 push to passage!! Repub Senators Claitor, Perry, and White voted NO. Here's a NOLA.com article on the bill and the vote!! This bill must NOT pass the full Senate. Please contact your state Senator asap and tell them to vote NO on this bill. It is not yet on the Senate calendar. HB 274 is on the agenda for a FULL SENATE vote on Monday 4/9/18 AFTER 3 PM. Contact YOUR state Senator and/or ALL state Senators to vote "NO" on this bill which will take away the rights of 18-20 year olds to purchase guns in Louisiana. Capitol switchboard to reach Senators: (225-342-2040). 4. FYI Sen Mills claimed NO ONE contacted him to vote NO on SB 274 in Committee!! (Not true cause I sent an email!!). Guess he never read the Constitution which says our rights should NOT be infringed. Sad that we NEED to contact them!!! Today, GatorPAC Chairman retired Colonel Rob Maness, sent this email to all State Senators. But, it's not enough. You MUST call your State Senator today and ask them to vote NO on SB274! Today, please find your State Senator and call them. You can find them by clicking here. Follow up with an email. Say, Please vote NO on SB274. 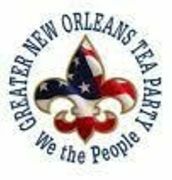 As the chairman of GatorPAC, I am writing to you on behalf of myself, the PAC, and its 11,000 Louisiana supporters, to request that you vote NO with respect to Senate Bill 274, which will be before the Senate on Monday, April 9, 2018. Senate Bill 274 seeks to prohibit the sale of any "assault weapon" to any person under the age of twenty-one years of age. Under the Civil Code, a person who has reached the age of 18 is an adult with all of the rights provided under our constitution. Raising the age from 18 years of to 21 years old affects the constitutional rights of over 185,000 law abiding Louisiana adults. Under current law, these adults have the right to vote, marry, contract, join the military and purchase firearms. Many live on their own, including those who are married or are single parents. Some are even military veterans. In addition, the term "assault weapon" is both over used and under defined. It isn't a technical firearm term so legislators define it as they see fit. There are two bills pending this year seeking to control "assault weapons" in some way and each uses different criteria to define one. These definitions both differ from the expired federal law. In fact, the definition has become so broad as to encompass common semiautomatic hunting and target guns. SB 274 was defeated in the full Senate yesterday.... the Bill to RAISE age to purchase some guns to 21. BUT...it isn't dead yet!! Sen. Carter (author of the bill) asked that it be "reconsidered" in full Senate. The Full Senate will have to vote on whether to bring the bill back for another round!!! This reconsiderration is on the Senate calendar for TODAY. This bill MUST die. Please contact Senators to vote NO on any reconsideration of SB 274!! Even tho it was soundly defeated ( 9- 26) in the full Senate, a motion to "reconsider " this bill slipped thru the Senate and so it is on the calendar again for another vote. *** It is unlikely that this bill will be heard in the full Senate again (it is on the Subject To Call agenda) but it is possible. We will keep an eye on it!! When you contact your Senator..... wouldn't hurt to mention you expect a NO vote IF this bill is heard again on the Senate floor!! ***** This bill is on the SENATE AGENDA every day now. Could be called to the floor at any time!!! We are a diverse group of individuals with one common goal: To return our country to its intended state as put forth by its Founding Fathers. Our country, sadly, is unrecognizable to us today, but we can and will affect the proper change that will, once again, allow all American citizens, as well as their posterity, to prosper. Members of this group will contribute to our mission by supporting and defending the U.S. Constitution, and by advocating for smaller government, state's rights, a strong national defense, free market capitalism, conservative principles, and freedoms guaranteed to us by God. We expect our members to behave peacefully, responsibly , and respectfully at all times. We reserve the right to rescind membership for any individual who (thru words or action) does not support our basic principles and mission.